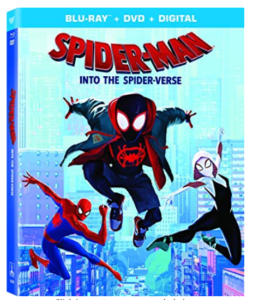 This film cannot be praised highly enough, everything is flawless, art style, animation, storytelling, comedy and action are all on point throughout the entire film, and that alone makes it worthy of the hype that has been heaped upon it, but the thing that really surprised me watching Spiderverse was the way the film handles the quiet, more nuanced moments in the story, this film has so much heart, it should not be possible for a movie that includes a cartoon Pig wearing a super hero costume to be as touching and deep as it is, from the way it handles the relationship between Miles and his Father/Uncle, to the friendship that feels so genuine between him and Peter Parker, this film really hits every note perfectly, and still produces those moments of levity on repeat watches. The print is presented in 1080p/AVC MPEG-4 with a 1:85:1 aspect ratio. “Spider-Man: Into the Spiderverse” is rather impressive animation on Blu-ray. This is a very colorful film that is vibrant and pops. With a strong color palette, it brings out the fine details with really fine looking edges which is very clean. The animation is rather impressive. Black colors are deep looking. Taking all these strong elements, they produce one sharp looking picture. We have an almost 3D look with the film. The audio is presented in a DTS-HD Master Audio 5.1 mix. The sound is rather impressive here and this I wasn’t even expecting going in. It takes advantage of the soundfield with the rears actually getting a good workout with the soundtrack and effects. The sound from the fight scenes is also well done. Dialogue is well placed through the center channel with voices being so ever clear. This Spider-Man movie blasts of your screen with great color and effects. It just looks amazing. Then the story is great. It takes you trough family love, teenage trouble, it has great humor and even has a serious touch.